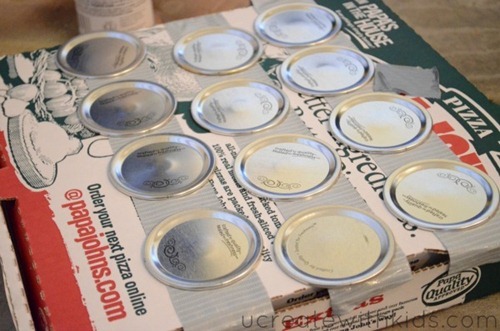 Lay the duct tape sticky side up on a box and secure the lids to it. Make sure you secure the duct tape to the sides of the box so the lids won’t fly up when you start spray painting. 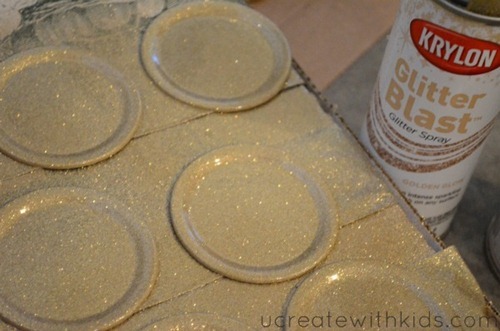 Grab your Krylon Glitter Blast Spray Paint and shake it really well; longer than you would normal spray paint. 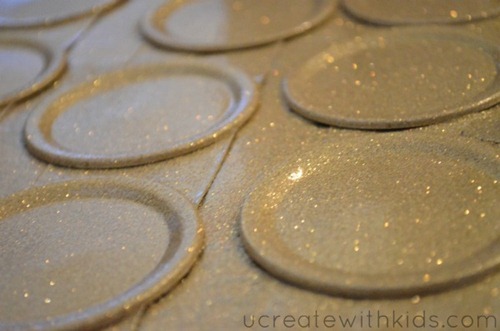 Otherwise the glitter doesn’t spray out even. Spray it on in one continuous motion…keep it moving. The Glitter Blast covers really well, but takes a bit longer to dry than your average spray paint. So…this is a good time to exercise patience. 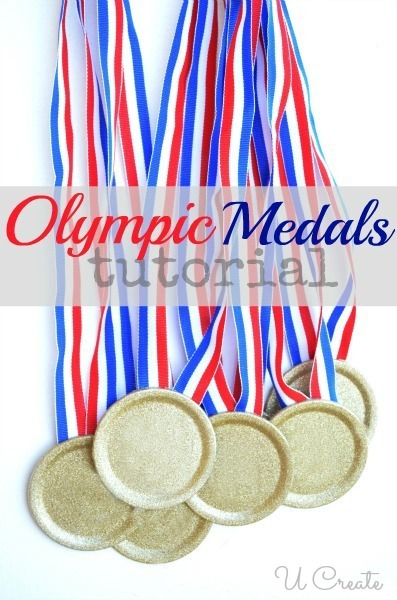 Once the medals are completely dry, cut your ribbon into 20” strips and hot glue them to the back of your glitterized lids. These are uber cute! 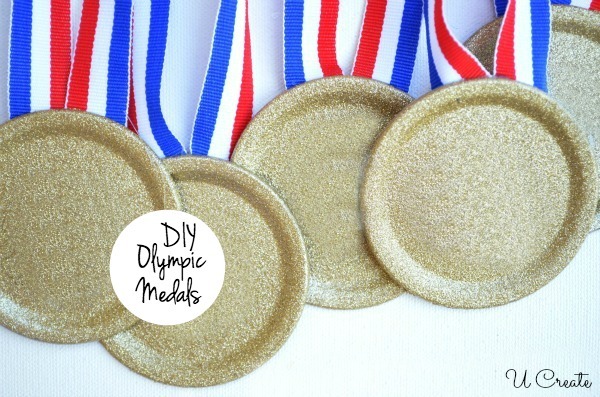 Planning an Olympics party with our Children’s group at church and these are too cute! Very cute idea! Love the one eye! I just wanted to let you know that I’ve nominated you for the Versatile Blogger Award. These are the cutest medals!!!! I am saving the idea for our annual soccer tournament:). Thank you for sharing in the link-up! Using this idea for our bible class this Sunday. Our verse for the month is “The word of the Lord is worth more than gold” so instead of putting an eye in the center, we are going to put a bible sticker! Perfect timing with the Olympics this month! Thank you! This is cute! Where can you get just the canning lids?